The Knesset passed into law last week, the controversial so-called "Shabbat law", also labelled by some as the "minimarket law". This new law requires local municipalities to first get the approval of interior minister before allowing stores in their municipal area to open on Shabbat. Given the fact that the current interior minister is Shas leader Arye Deri, the immediate expectation is that such approval would generally be withheld, forcing stores across the country to be closed on Shabbat. And furthermore, the extent to which stores are allowed to be open on Shabbat or not, will seem to depend upon who occupies the seat of the interior minister at any moment in time. The issue of Shabbat in the Jewish state is a complex one. The religious community will always wish to see the Shabbat respected to the fullest as set out by Jewish law. This dictates, amongst other things, that stores will be closed from sundown on Friday until sundown on Saturday each week, and similarly on religious holidays. Aside from the issue of violating Jewish law by opening stores on the holy Shabbat, the religious community also argues that the opening of stores on Shabbat forces people to work there on Shabbat. These workers, they believe, would be better off spending Shabbat at home with their families resting, rather than being forced to work. On the other hand, there is a substantial secular community living in Israel which prefers to have greater choice as to when they shop for their groceries and other items. Many of them work long hours during the week, and find it impossible, difficult or inconvenient to do their shopping after work during the week. For them, shopping on Shabbat is preferable. Why should they not have the right to choose for themselves when the best shopping time is for them? What about those people whose work during the week does not afford them enough to make a living, and who welcome the additional work hours at double time that the law allows on Shabbat? Does Israel, as a democratic Jewish state, have the right to impose Jewish law on its citizens? Does it really want to impose Jewish law? How important is the observance of the Shabbat to the Jewish nature of Israel? Israel's Jews are a mixed bunch. Some are observant, and some are not. Most of them are fiercely proud to be Jewish and to live in the Jewish state, and each expresses their Jewish identity in a different way. The statistics show that between 20% and 30% of the Jews in Israel consider themselves to be ultra-Orthodox or Orthodox. On the other end of the spectrum, around 40% of Jewish Israelis consider themselves to be secular. So the balance of power rests with those who consider themselves to be traditional. From this, we can see that there is no obvious single view that emerges concerning the importance of Shabbat observance. This was reflected in the law that was in force until now, that allowed each municipality to choose for itself what its policy regarding store-opening on Shabbat would be. This was also borne out in the High Court decision that confirmed this method of deciding. Each municipality can decide, according to the demographics of its local area, whether stores will be open on Shabbat or not. Some decide yes, others decide no. Some have a mixed policy of forcing stores in certain areas to close, while allowing stores in other areas to be open. One thing that remains certain is that there will also be those who disagree with whatever happens in their local vicinity. There is no possible way of satisfying all the people in any particular locality. The authorities have previously intervened in some ways in order to impose some element of Shabbat observance in Israel. El Al, Israel's national airline does not fly on Shabbat or on Jewish holidays. 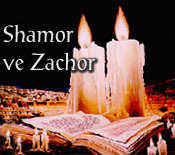 Banks, supermarkets and many other facilities are prohibited from opening on Shabbat. All hotels in Israel that wish to be certified by the Ministry of Tourism, are forced to serve food that is kosher. This requires a certain level of observance of Shabbat. Much of Israel's public transport does not operate on Shabbat. It seems to me, however, that this has extended a little too far with the government passing the recent Shabbat law. It seems that Interior Minister Arye Deri also feels the same. Despite his personal views that Shabbat should be observed, he has pledged not to exercise the power that the new law gives him to enforce Shabbat observance. Instead, he has indicated that he will allow each municipality to decide for themselves as they have done before. This view does not, however, remove the possibility that a future interior minister may exercise his power under the law in one direction or the other. For this reason, the law seems to me to be a step too far. Unfortunately and unsurprisingly, the law has become mixed up in Israeli party politics. Essentially, the enactment of this law has served to give Health Minister Yossi Litzman a path back to his ministerial position, after resigning from the government over his opposition to work being undertaken on Israeli railway infrastructure on Shabbat. Now that the new Shabbat law is on the statute books, he can prove to his party and electorate that he has forced a change to the government policy on Shabbat, and is justified in returning to the government. The illusion seems to hide the reality in this case. The often remembered Ahad Ha'am quote says, "More than the Jews have kept the Shabbat, the Shabbat has kept the Jews". There is no doubt that Shabbat observance has been a central tenet around which Jews have focused during the thousands of years of exile, and which has helped to maintain some element of identity and unity. It is interesting that, during the years of exile, Shabbat was observed out of free will, and not out of being forced on anybody. It seems to me that it is desirable to continue the observance out of free will, now that we have a Jewish state that enables this more than at any time during Jewish history. Forcing it on anybody seems counterproductive. The real question is whether Shabbat observance and the traditional Shabbat atmosphere in Israel can survive the law, or whether the law will potentially force people away from it. I have no doubt that free will is much stronger than laws that are imposed. The Shabbat is no exception. I have never really been a fan of the whole idea of nominating "people of the year". I know that it has been popular and common-place for all respectable publications and newspapers to choose their person of the year. Time Magazine's annual choice of person of the year is a highly anticipated occasion, with the chosen person given the privilege of gracing the publication's cover. Is it really possible to choose one person who epitomises the year, and who can lay claim to having had the largest influence on events in that year? I am not sure about that. For some reason, however, this year I feel differently. For me, there is one person who has emerged from the shadows during 2017 and truly stood out on the international stage. That person is US Ambassador to the UN Nikki Haley. Before even talking about Haley's achievements in her role as US Ambassador the UN, it is interesting to know a little more about the person behind the ambassadorial figure. She is the daughter of immigrants from India, who came to the US after her father travelled from India to complete his PhD in Canada. Nikki's parents are Sikhs, with all the visible differences that are associated with being a Sikh in a western environment. It seems to me that growing up as a child in a minority family in a southern US state has given Haley the character and skills to be a leader who is sensitive to others, particularly minority groups. After graduating from Clemson University and a short career in business, Haley began her political career in the South Carolina House of Representatives in 2004. In 2010, she was elected Governor of South Carolina, and served in this capacity until she resigned early in 2017 to take up her new role as ambassador to the UN. Over the years, the USA's position at the UN has become a little confused. There can be no doubt that the US was by far the strongest power and influencer when the UN was originally set up, and has continued to be the most powerful nation on earth during the years of the UN's existence until today. The main organs of the UN are based in the US, and the US is also by far the most substantial financial contributor to the UN. In its position as one of the permanent members of the UN Security Council, the UN also has the ability to veto any resolution that is brought before the Security Council. All of this bears testament to the US being the most powerful country amongst the community of nations. In the General Assembly and in other UN organ bodies, however, the US is an equal member like every other nation with much less power to influence. As a result of this, there are many examples where US interests (and those of US allies) have been trodden on. Israel, as an ally of the US and as the favourite target of many UN organisations, has suffered more than its fair share of unwarranted negative attention and condemnation. Of late, the UN has become a tool for local interest groups to gang up on individual countries for the purpose of furthering personal political agendas. Israel is certainly a victim of this. And this unfortunately detracts substantially from the main reason why the UN was established in the first place. Nikki Haley appeared to understand all of this very well from the first day that she stepped foot into her office at the UN. Not only did she understand this, she has been willing to stand up for what she believes to be just and equitable. It was clear to her that the US was being asked to contribute far more to the UN than it was receiving in return. It was also clear to her that Israel, a key ally of the US, was being unjustly bullied at every opportunity by UN organisations. She has been prepared to take on the world at the UN to put this right. In the process, I believe that she has brought some respectability to America's status at the UN and in the international arena in general. She has also been willing to tackle the unfair treatment of Israel by the UN. Undoubtedly, Haley has been given the drive and incentive by President Trump, who seems determined to redress the imbalance of the US position at the UN. But there is also little doubt that she has taken her role seriously, and has been prepared to take on the powers at the UN. She has shown the willingness to say and do the difficult things required to reinforce the US position at the UN. 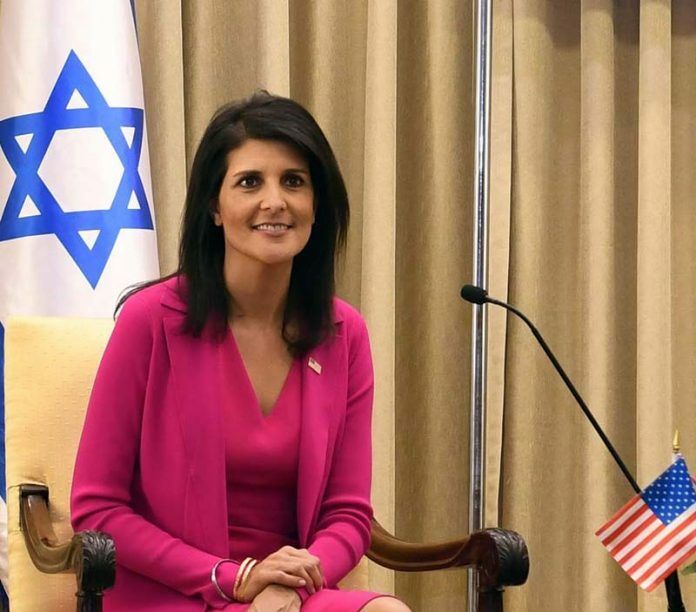 Last month, she was prepared to exercise the US veto at the Security Council to vote down another anti-Israel resolution, after a lengthy period of time during which the US veto was not exercised. Not only that, but she was vocal in threatening those who voted in favour of the US-critical resolution at the General Assembly of the risk that they would lose funding that they receive from the US. The way in which she has been supportive of Israel's position at the UN is very much recognised and appreciated. She has shown the guts to swim against the tide, and take actions which are roundly criticised by the majority. There is no doubt that international politics and diplomacy these days is a game of interests rather than having for consideration for what is just and right. And, while this contradicts the original intention that lay behind the UN when it was first set up, we see this permeating through all parts of the UN. The Arab lobby at the UN has been used very effectively to make Israel the bad guy of the UN. No other single country has had more resolutions and condemnations against them than Israel. Surely this says it all. Nikki Haley has been prepared to take on the world in defense of the US position at the UN, and also in defense of Israel's position. Her passion in doing this, and her unwillingness to compromise her beliefs stands out against the background of mediocrity that is evident in international diplomacy. Her heroic acts in sticking up for what she believes in makes her, in my opinion, the stand-out person of 2017. Nikki Haley will be a voice to be heard on the international stage for some time, and I am looking forward to following her activities.